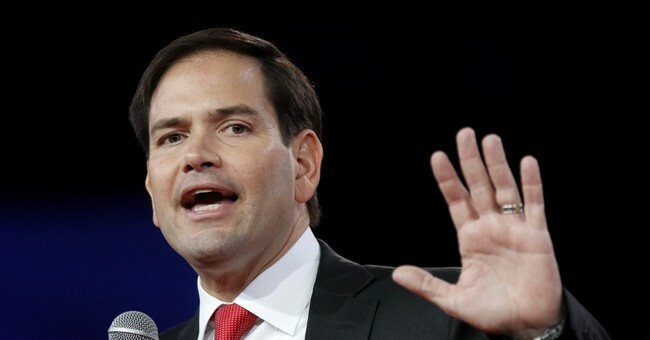 After Sen. Marco Rubio spoke before 2,500 enthusiastic attendees at FreedomFest in Las Vegas during early July, he flew to California to speak at the Koch Brothers conclave and got into trouble defending his own home-state boondoggle — federal price supports for sugar that double its cost to domestic users like cookie makers. Apparently, local Florida sugar cane farmers, along with Hawaii sugar producers, benefit from higher sugar prices to the tune of $1.4 billion a year through subsidies. Rubio is backing the subsidies to support his state’s sugar cane farmers, despite his stance meaning higher prices for Florida consumers. Meanwhile, Flo-Sun, Florida’s top sugar cane producer, makes regular campaign donations to Sen. Rubio and other politicians, totaling more than $500,000 last year. Those contributions pay off for the sugar cane farmers when the farm subsidy bill comes up every year in Congress. Politicians often spout the benefits of free trade and free enterprise but make exceptions when it fits their own self-interest. Sen. Rubio is no different when it comes to the sugar subsidy. The sugar subsidy is perhaps America’s least efficient welfare program, according to the Cato Institute, costing consumers vastly more than it benefits farmers. Despite subsidies, the number of sugar growers has fallen by about half in the past three decades. The General Accounting Office estimated in 1995 that 1% of sugar growers captured almost half of all the benefits from the program. As a result of the high sugar prices, candy and other food manufacturers are shifting production to foreign nations, especially Canada and Mexico. A study by Agralytica, an economic consulting firm, estimated the sugar program has cost the United States more than 120,000 jobs since 1997. And America just lost 600 jobs in Chicago as Nabisco, the manufacturer of Oreo cookies, announced plans to move production of Oreos from that plant to Mexico. The leading ingredient in Oreos is sugar, and U.S. trade barriers currently require Americans to pay twice the average world prices for sugar. Hotel magnate and Republican presidential candidate Donald Trump is turning the loss of American manufacturing jobs into a campaign issue. He vowed on Aug. 25 not to eat Oreos again in protest unless the cookies are made in the United States. He is not alone. In case you missed it, I encourage you to read my e-letter column from last week about how stocks can tumble despite strong consumer spending.